How do you tell the story of the myriad lingering effects segregation has had on a community in a few short hours? You find a fascinating and little-known subplot within that story and write a play about it. Premiering April 19 and running through May 20, A Home on the Lake is the first collaboration between writer Fedo (Piven Theatre’s literary manager,) and director/writer Rhoze, artistic director of Evanston’s Fleetwood-Jourdain Theatre (also a critically-acclaimed film and theater actor). 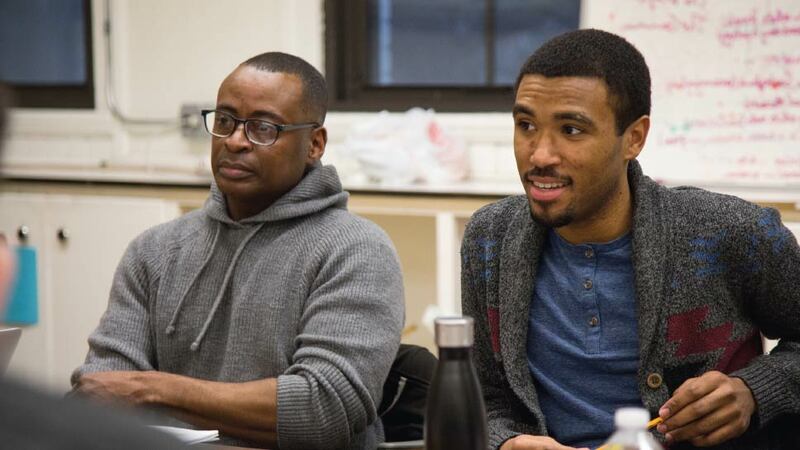 Their play draws from research and interviews conducted by Nina Kavin, founder of Dear Evanston—a social action group focused on issues of race, equity, inclusion, and youth gun violence. The play is the centerpiece in Piven’s “home” themed 2018 season. 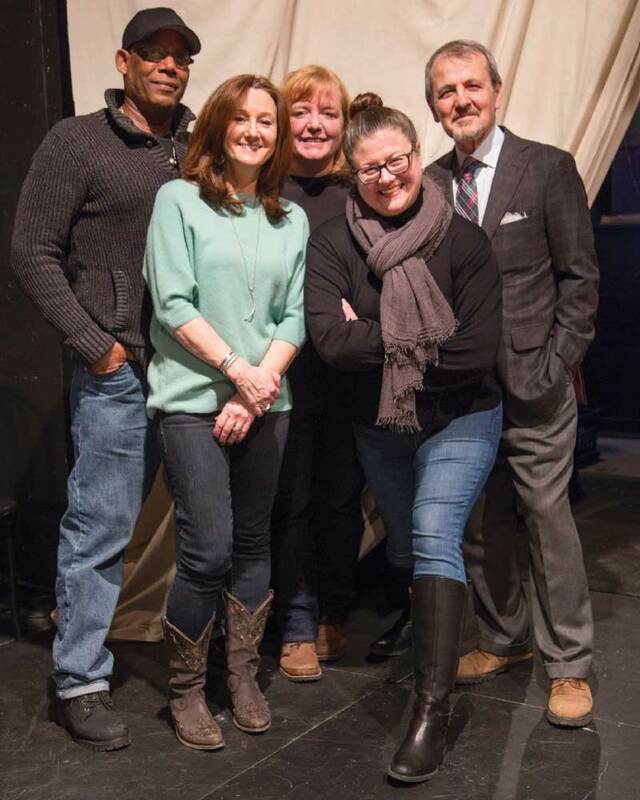 A reading of A Home on the Lake was underway recent at Piven Theatre with Andi Fitch, Rachel Shapiro, Abigail Boucher, and Christopher M. Walsh. Although fictional, the play is based on fact. The neighborhood west of Green Bay Road—bounded by the North Shore River Channel, and tucked between Lyons and Church streets to the north and south—District 5 (also known as the Fifth Ward) has long been the center of Evanston’s African American community. But few people realize that dozens of the homes here were physically plucked from their foundations in other Evanston neighborhoods and wheeled to the district in the 1920s and 1930s in an act of segregation backed by the Real Estate Board Code of Ethics adopted in 1924. Partly due to this, by 1930, the Fifth Ward had become home to 79.8 percent of all Evanston black residents. 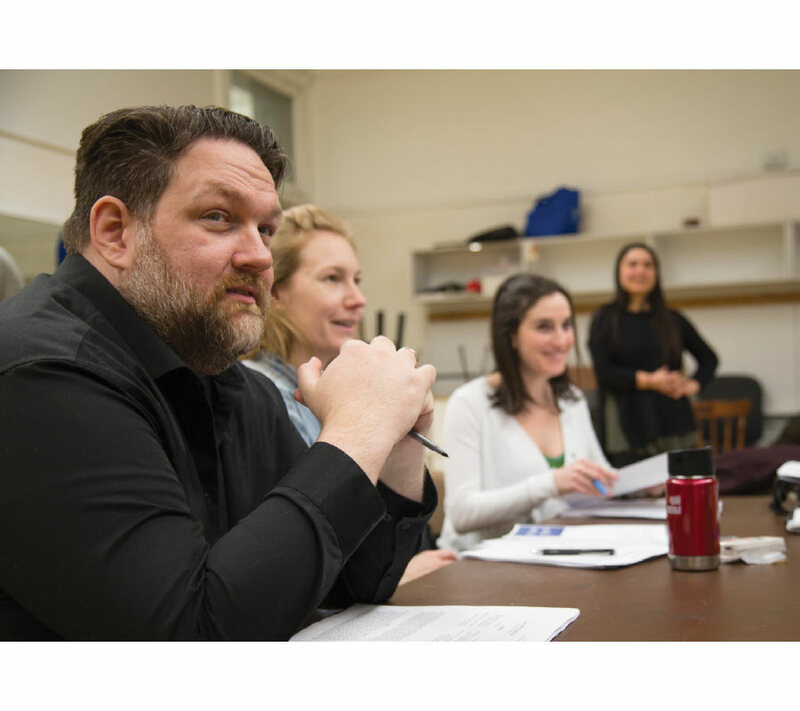 For his part, Rhoze says the wheels behind the play’s ideation had been turning for a while. Choosing those stories as a pivot point for the play was a natural way to lead into the exploration of deeper themes of displacement, equity, home ownership, and the question of whether communities divide or become more cohesive during times of upheaval. A Home on the Lake will be performed at Piven Theatre Workshop, 927 Noyes Street, Thursday, Friday, and Saturday evenings at 7:30 pm; Sundays at 2:30 p.m. April 19 through May 19. Ticket prices are from $15 to $30, available at piventheatre.org or by calling 847-866-8049.